Liczba stron: 312 Jest to ujednolicona liczba stron, która ułatwi Ci porównanie długości książek. Każda strona Legimi to 200 słów. What a twitter and flutter and chirping there was in the pretty nest which Maggie and Bessie Bradford called their own room; for there were four little girls, who were to start together the next day on their travels, and there was so much to be talked over. All the new places they were to visit, all the wonderful things they were to see and do; and, more than all, that sea voyage of three or four days. For none of them but Belle had ever been to sea, and it would be quite a new thing to all the rest. Then there was the packing, about which both Maggie and Bessie, especially the former, had been greatly concerned for the last week; for it seemed impossible to them that nurse and Jane could make all the necessary preparations for this important journey on the day before that on which they were to start. That morning Maggie’s excitement and impatience had overflowed. Waking at a very early hour, and finding Bessie still sleeping, she lay a few moments thinking of all that was to be done that day, and wondering that the household should still be so quiet, with the prospect of such important business before them. No sooner said than done; and Maggie scrambled out of bed and into her dressing-gown and slippers quite forgetting to pause and think whether or no mamma would approve of her running about the house in such a guise, and if she would not be giving more trouble than help by meddling with what she did not understand. Upstairs she trotted to the topmost story, where was a room which Fred called the “put-all-room,” and which held, not only trunks and boxes of all shapes and sizes, but a couple of great, old-fashioned presses, and many another article not in common daily use, and stored there to be out of the way. The children thought it rather a treat to go in now and then with mamma or nurse, to rummage there and see what they could spy out: but none of them had ever gone there alone or without permission; and if Maggie had taken time to reflect, I think she would have knownthat her mamma would not wish her to do so, though she had never positively forbidden it. But just now the busy little head was too full of plans for making herself useful, to take heed of anything else; and finding what she had hoped for, that the door was unlocked, she opened it, and went in. The trunks were not piled together at one end as they usually were, but stood singly, here and there about the room, just as Patrick had left them the day before, when he had examined them to see if they were in good order; and this Maggie observed with great satisfaction. But, after various trials, she found to her great disappointment, that she could by no means move even one of the “middlings;” and was at last forced to content herself with a small black leather trunk, in which she thought she would put some of her own and Bessie’s clothes. Having fixed upon this prize, she contrived with some trouble to drag it from the room, and push and pull it to the head of the stairs. But here a new difficulty arose. She could by no means lift the trunk and carry it down: small as it was for the amount of packing she wished to do, it was quite too heavy for her little strength; and though for one moment she thought of pushing it over the edge of the top stair, and allowing it to slide down by its own weight, she soon reflected this would not do. But in spite of all the pains she took, the trunk seemed to Maggie to make the most outrageous noise, sliding over each stair with a grating sound, and coming down from the edge of one to another with a thump and a bang, which all her efforts could not silence. She was soon heartily sorry that she had ever touched it; but she must go on now, for she could not possibly pull it up again, and if she left her hold of it, it would go tumbling headlong to the bottom. However, she took heart of grace again by the time she had reached the foot of the top flight, for no one seemed to have been disturbed; the servants having all gone down stairs, and the boys, who slept in the third story, being sound sleepers. So she concluded to go on and not have all her pains thrown away; but she had gone only two or threesteps on the second flight, her troublesome prize bumping after her, when she heard her father’s voice from below. “O papa!” said Maggie, feeling rather guilty, and very much mortified, “it’s not Patrick, but me;” and as she spoke, she appeared round the turn of the stairs, while her attention being for the moment diverted, the trunk slid after her with a bang which seemed to jar the house. “You, my daughter!” said Mr. Bradford, coming up to where Maggie stood; “and what are you doing here at this time in the morning?” and he looked down in great surprise at the small figure whose cheeks matched her scarlet dressing-gown, and whose curls were tossed and tumbled in the wildest confusion. “It’s this mean old trunk, papa,” said Maggie, pettishly; “the more I try to make it go softly, the more it won’t, but just squeaks and bumps all it can, the horrid thing!” and now she gave up the trunk very willingly into her father’s strong grasp. “What were you doing with it?” asked Mr. Bradford. “You have taken mamma rather too much by surprise,” said her father, unable to help smiling; “for you have wakened and startled her. It is well to try to be useful, but one should try to be thoughtful and considerate at the same time, or our pains will be quite thrown away, as yours are now. You must go back to your bed, my daughter, and let this trunk alone;” and lifting the trunk he carried it to the third-story hall, Maggie looking on with a very crestfallen feeling. “It may stay there till we see if it is needed,” said Mr. Bradford, soothingly, as he saw her disturbed face; “and by and by, at the proper time, you may ask mamma if you can help her;” and taking the little hand which was trembling with cold and over-exertion, he led her back to her own room. Papa had been very kind, and could scarcely be said to have found fault with her; but Maggie, who began to feel that she had been somewhat to blame, would rather have been scolded than hear him laugh as he did when he told mamma how and where he had found her. She did not hear what he said, but she knew very well what he was talking about, and drew the bed-clothes over her head that she might shut out the sound of his laughter. “It’s too bad,” she thought:“most always when I try to be very superior, I make a mistake and people laugh at me about it. I feel as if I’d like to be mad at some one, but I can’t be mad at papa, and I don’t want to be mad at myself, ’cause I didn’t mean to do wrong; and it’s no use to be mad at the trunk, but I b’lieve I do feel a little provoked at it, it has made my hands hurt, and my arms do ache so. I’m real tired too.” And coming to the surface for air, Maggie turned over on her side, and presently dropped off into a sound morning nap; so that when nurse came to tell her she might get up, she found her still sleeping instead of wide awake as usual, and was bidden by Mrs. Bradford to let her sleep as long as she would after her exertion. Maggie was rather subdued and quiet all the first part of the morning, and more than ever grateful to papa, when she found that he had not told the boys, and so given them the opportunity to tease and laugh at her. “I suppose you couldn’t let me help you after my unconsiderate unusefulness this morning: could you, mamma?” she said, when she saw her mother gathering together the articles Jane was to stow in the trunks. “Oh! Thank you, mamma: I will let Bessie do the ribbons, ’cause they are the prettiest;” and away ran generous Maggie with her sister to begin the pleasant task. That done, mamma gave them leave to pack the clothes belonging to Miss Bessie Margaret Marian, and Miss Margaret Colonel Horace Rush Bradford, in another box; saying that since she did not feel as if she could do without her own little daughters, she would not ask them to leave the whole of their large family behind, and thought the dolls might prove a great diversion when they were tired, or perhaps shut up in some hotel on a rainy day. They were busy deciding what dresses should be taken and what left, when Mrs. Norris came round to see Mrs. Bradford for a few moments, bringing Lily with her; and while the ladies talked in one room, the little girls chattered away in the other, Belle coming in about the same time. “Not Belle Maggie Bessie?” questioned Maggie. “Yes: Belle Maggie Bessie!” repeated Belle, in a tone of determined obstinacy and snappishness, which showed that the subject was a sore one with her. “But your papa said last night that you could not take her, ’cause such a large doll would be too much trouble,” said Bessie. “Well, anyhow, I’m going to: he said I could this morning,” answered Belle. “Then you cried and cried and bothered him, till he said yes: I know you,” said Maggie, reproachfully. “I don’t care,” said Belle; but she did care, and now was ashamed that her little playmates should guess how she had worried her too indulgent papa. “You might repent yet and tell him you won’t take her,” said Bessie. “Yes, do, and make a Rip Van Winkle of her,” said Maggie. “I shan’t make her that ugly thing, and I shall take her,” said Belle, indignantly. Lily assented; and, opening a deep drawer in the bureau, Maggie showed her all the various dolls belonging to herself and Bessie, lying with bandages on their eyes. “And who was the Winkle man?” asked Belle. “It’s only pretend, you know, and one can make b’lieve about dolls even better than about people,” said Bessie. “And it’s a great relief to suffering to go to sleep and forget it,” she added, as gravely as though there were no “pretend” about it, and the dolls were real children, feeling deeply the separation from their little mammas. “Yes, we will; and you can take a doll of moderation,” said Maggie, meaning that Belle could take a doll of moderate size. “Do you think you’ll be seasick on the steamer?” asked Lily. “Pooh! No, I shan’t. I won’t be,” said Maggie. 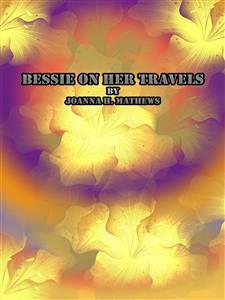 “Is being seasick anything like being homesick?” asked Bessie. “Not exactly; but the two things very often go together, darling,” said Aunt Bessie, laughing, and speaking from the next room. But, in spite of her determination, Maggie had privately a great dread of this same seasickness. She could not bear to be sick; not that she was impatient or cross when this was the case with her, but that she thought sickness, like sleep, was “a great waste of being alive.” She wanted to be able to run aboutand amuse herself all the time; and it was “such fun” to go to sea, that she was very much afraid lest anything should interfere with her enjoyment of it. “But Bessie and I don’t like sour things, so that won’t make it any better for us,” said Maggie, soberly. Nevertheless, she treasured Belle’s remark; and not seeing her way clearly to a private stock of oranges and lemons, she watched her opportunity when her little playmates were gone, and taking Patrick into her confidence, begged him to give her “two pickles and a whole lot of vinegar,” not to eat herself, because mamma would not allow that, but to be prepared, when all the rest of the family were seasick and she had to take care of them. The good-natured Irishman, expressing great admiration at the “forethought of her,” furnished her with what she wanted; and Maggie went off, rejoicing in her spoils. The pickles were stowed away in the soup-tureen belonging to her doll’s dinner-set; and she contrived, when nurse and Jane were not looking, to slip them into a corner of one of the trunks. The vinegar she poured into a vial she had also obtained from Patrick; and as the cork did not fit very tightly, and she feared the liquid might run out if she put it into the trunk, she hid it in her bosom, heroically enduring the smell of the vinegar, which was exceedingly disagreeable to her, “for the sake of my family,” as she told Bessie. For Bessie’s quick little nose soon smelt out the vinegar, which she also disliked very much; and after several sniffs and exclamations of disgust from her, and much wondering as to where that “horrid, vinegarish smell did come from,” Maggie felt forced to tell her the secret which she had meant to keep until they were safely on board the steamer. But Bessie was by no means so struck with admiration as Patrick had been, and for once did not think Maggie’s plan a good one; at least not unless she could be persuaded to tell her mamma of it. But even as they were talking, they found that the “bad-smelling secret” had betrayed itself; for nurse, going to finish the packing of the trunk where the pickles were concealed, also perceived the scent of vinegar. “What have you been putting in here that smells so of vinegar?” she said to Jane. “But it’s here, surely,” said nurse, sniffing around in her turn: “it’s about this trunk, spilled on something I suppose: that’s some of your carelessness, Jane.” And Mammy, who was rather apt to snub her younger helpmate, lifted several articles in turn to her nose. “Oh dear! I’ll have to tell: she’s scolding poor Janey for it,” whispered Maggie, in great dismay. This was too much for Maggie. She could not hear her little brother and Patrick blamed, and she spoke out at once. Maggie was displeased in her turn, and, as usual, was dignified and made use of all the long words she could think of, which were suitable to the case. “If you interfere with my pickle arrangements, I shall not be responsible for the seasickness,” she said solemnly. But Maggie was too much hurt and disappointed to answer, and could only reply with a nod to Bessie’s plea that she would let her explain. Having allowed so much to be confessed, Maggie thought she might as well make a clean breast of the whole affair; and produced the bottle of vinegar, with many entreaties to be allowed to keep it. Nurse shook her head; but Mrs. Bradford came into the room just then, and she turned the matter over to her. Mamma laughed too when she heard the story, and told Maggie to give up her pickles and vinegar, and she would provide her with something better; so taking both the little girls into her own room, she delighted them by presenting each with a beautiful morocco satchel, just of a right size for small travellers, and with lock and key all complete, to say nothing of a light chain by which they could be hung over the shoulder. “Then we’d have no one to write to,” said Maggie, who found consolation in all partingsin the thought of letter-writing, in which she delighted. “You’ll be apt to know that without telling, little maiden,” said a gentleman who was passing: “we have had high winds the last three days, and shall find it rough enough outside, I take it;” and he passed on. “Who’s that, papa?” asked Bessie. “That is the captain,” said Mr. Bradford. “What a nice face he has,” said the little girl. “What did he mean by ‘outside’?” asked Maggie. “And what did he mean by ‘rough’?” asked Maggie. “He meant you’d be seasick,” said Belle, with a wise shake of her head. “I hope you may be able to keep to your determination, my little girl,” said her father, smiling. Hapless little Maggie! Half an hour more, and the “bobbly” head lay in mamma’s lap, hands and feet hung helplessly, chattering tongue was still, save for an occasional piteous, “O mamma!” and the merry dancing eyes, usually so wide-open and quick to notice all around them, were closed as though they never cared to lift their lids again. Even the new satchel had lost its charm, and hung unheeded at her side. Its cherished contents, which she had intended to be of so much use to others, proved of none to herself. Lemons, smelling salts, hartshorn, and many other remedies, were tried without success; and it would have been hard to find a more wretched little girl than was poor Maggie, for the next twenty-four hours. Belle and Lily were too ill themselves to feel at all inclined to triumph over the failure of Maggie’s “determination;” though I do not think they would have been unkind enough to do so, had they been ever so well. As for Bessie, she made what the captain called “a capital little sailor,” and to her fell the part of nurse, which Maggie had intended to fill. And never was a more gentle, tender, thoughtful young nurse than our little “princess,” handy and knowing enough for seven-and-twenty instead of seven years old. Now she was rubbing Maggie’s cold hands, now bathing Belle’s dizzy, aching head with such soothing fingers; now coaxing Lily to take one of those oranges which were to work suchwonders; now amusing baby, for Mammy was in a bad way too, and mamma’s attention was pretty well taken up with her poor Maggie; now showing a picture-book to some fretful child whose mother was too ill to attend to it. Always ready not only to do, but to see where and how she could do, some small service for a sufferer, she went about from one to another like some dainty little fairy, with a mission of healing and kindness. So long as she could keep her feet, which was not always possible, the rolling of the ship only troubled her by the distress it brought to others, especially Maggie; but all her pleasure in her beloved sea was lost in her sympathy for her sister. It was so strange and unusual to see Maggie lying helpless and subdued, with no thought or care for anything about her, that it made Bessie herself very miserable; and she could scarcely believe her father’s assurances that Maggie was not going to die, and would probably soon feel better. But she thought despair and misery couldgo no farther upon the following morning, when, having dressed Margaret Bessie Marion and Margaret Colonel Horace Rush in the new travelling suits Aunt Annie had made for them, and combed their “real live hair,” she brought them and placed one on each side of Maggie, as she lay among the pile of pillows and shawls papa had arranged for her upon the deck. “But you’re not going to die,” answered Bessie, dropping the doll upon her lap and looking at Maggie in fresh dismay. “Yes, I feel it,” said Maggie, with a tragic whisper and shake of her head. Bessie did not know whether to be most alarmed at Maggie’s words, or consoled by her belief that her father and the doctor must know best; and she listened in silence while Maggie went on, speaking slowly and with many pauses. “You can have all my dolls, Bessie, ’cept Josephine Matilda, and she’ll be good for Baby, ’cause she’s Indian rubber and can’t be broken; and mamma my prize writing-desk, and papa my new satchel; and my doll’s tea set, the white and gilt one for you, and the blue one for Lily; same with the dinner-sets—only, red for Belle—and my tin kitchen too—oh! I can’t tell any more—oh! mamma—mamma!” and here poor Maggie’s will came abruptly to an end. But things brightened towards the latter part of that day, for they came into smoother waters; and Maggie, as well as all the other seasick passengers, began to feel easier. “Most certainly, Captain, if you can do anything to relieve her. Everything seems to fail except time and patience, and of the last my poor child has shown a fair sample,” answered the anxious mother. With a nod to Maggie, who, at the soundof his hearty, cheery voice had half opened her eyes to look at him, and another to Bessie, who sat upon the edge of her sister’s couch, he walked away; coming back after a little while, followed by the steward carrying a small tray. On the tray were two plates, the one holding a crisp slice of brown toast; the other, something which Bessie thought very uninviting, a dry, rather black-looking herring. But the captain asked Maggie nothing about the herring; but, sitting down beside her, he took the tray from the steward, and cutting a small bit from the fish, he held it to Maggie’s lips. Maggie turned away her head in disgust, in which Bessie sympathized. “I think we shall do now. I’ll be back in half an hour, Mrs. Bradford, to see how my patient here is getting on,” and walked away. Bessie privately thought this worse than the “pickle arrangement;” but since the captain’s prescription had done Maggie so much good, she had nothing more to say against it or him; and when he came back at the promised time it was to find his little patient beginning to look like herself, and talking and smiling with something of her accustomed brightness. This was the last of Maggie’s seasickness, and by the next morning she was nearly as lively and well as usual; though she now and then fell into a fit of thought, as if she were considering some knotty question; and she was observed to regard Margaret Bessie Marion with more than usual interest, and to give her a great amount of petting and tending. At length the question which was weighing on her mind found words. “Oh, no! Maggie; and if I hadn’t you, I should never play again, but be sorrowful all my life;” and Bessie put on an air of extreme melancholy at the bare idea of such a possibility.